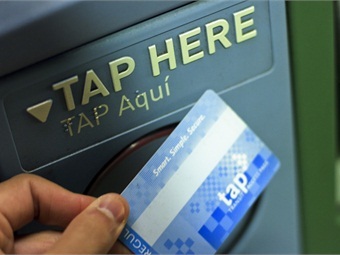 “TAP is the largest smart-card system in North America with over 23 million transactions and $14.5 million in passes sold every month,” said Metro CEO Phillip A. Washington. Each transit agency relies on the TAP system for revenue dispersal and GMs of each municipal transit agency needed to be assured that the mammoth undertaking of tracking fares and reimbursement would be accurate. The Tap website, www.taptogo.net, where riders can buy stored value and passes and apply for reduced fares, has been redesigned and is easier to use. In addition, TAP vending machines have undergone a redesign with colorful screens, animation, photos and a user-friendly navigation bar. Nearly 98% of customers polled like the new simplicity of navigation.